For photography nerds, the end of Photokina is like the last few hours of Christmas day that you desperately try to hang on to. Photokina is the biggest photography event of the year. It’s become the event where all of the big photography announcements go down. 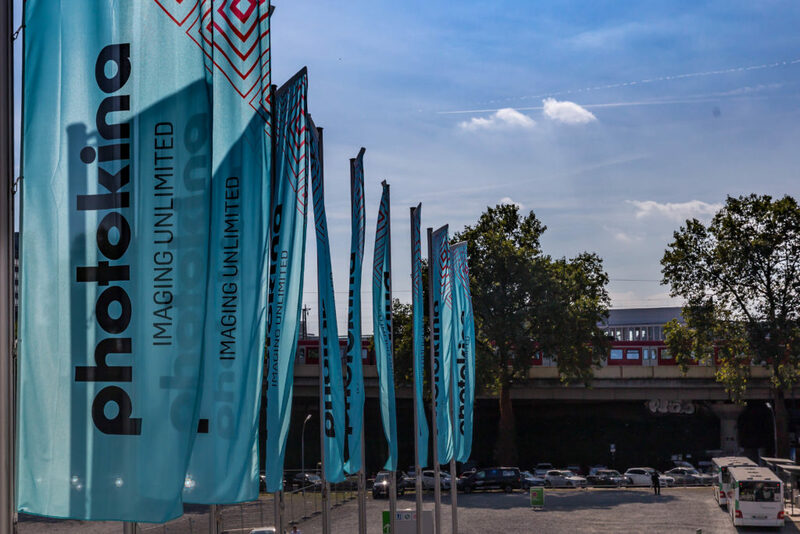 And while this year’s Photokina wasn’t exactly ground-breaking, there were several announcements that look as if they’ll move photography forward, even if it’s just incrementally. Let’s take a look at them and see if you think they’re more than just incremental progress. And as always, I’ll try to keep it lens focused but I will definitely talk about some of the cool new cameras announced. Olympus made some of the most significant announcements of this year’s event, with two new lenses, the M.Zuiko Digital ED 25mm f1.2 PRO Lens and the M.Zuiko Digital ED 12-100mm f4.0 PRO, and also a new camera in their PEN series of mirrorless point-and-shoot cameras. A lot of photographers write off the micro four thirds system because of their small sensor sizes. And it’s certainly a legitimate concern. It’s unclear how long the micro four thirds system will remain relevant what with new technology allowing for manufacturers to cram bigger and bigger sensors into compact camera bodies. But for photographers who are sticking to the micro four thirds system, the new M.Zuiko Digital ED 25mm f1.2 PRO is an exciting release sure to make lovers of the 50mm focal length very happy. From the sample pics we’ve seen so far, it looks to be a very attractive piece of glass. For some good in-field sample pics from Panasonic rep Neil Buchan Grant taken in Cuba, check them out here. 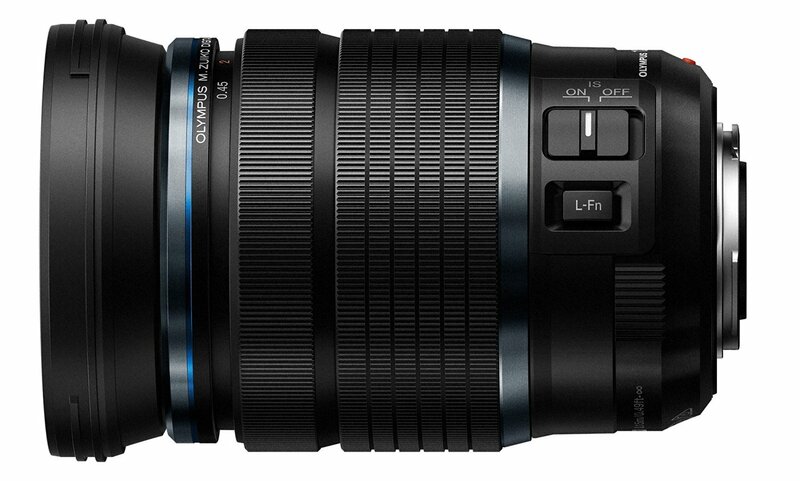 The M.Zuiko Digital ED 12-100mm f4.0 PRO covers an enormous focal length, (24-200mm in full frame terms!  That’s freaking crazy!!!) and from the sample images it appears to look as if it produces image quality on par with some of the professional level zooms for full frame DSLRs with even less focal length range. Pretty impressive to say the least. 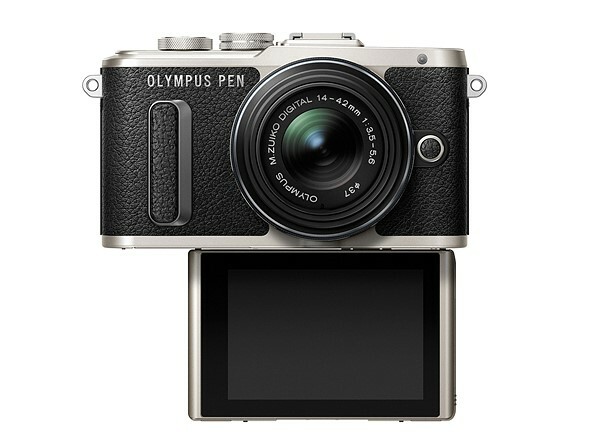 The Olympus PEN E-PL8 looks like a stylish little interchangeable lens camera geared towards the serious hobby photographer looking to get better image quality than their standard smartphone and get more controls than the standard point-and-shoot. It has a 16 megapixel sensor, built-in WiFi connectivity, a ton of autofocus points (81) and in-camera image stabilization. What Olympus is really pushing with this little camera is the articulating LCD screen which allows you take selfies of your beautiful self. This camera was not without criticism. But I love compact cameras and am excited to see the level of image quality it produces. It’s not a revolutionary camera but it makes nice improvements over the previous PEN models and is definitely worth the asking price in my opinion. ZEISS is known for sacrificing autofocus in the name of producing some of the sharpest and impressive lenses on the market today. 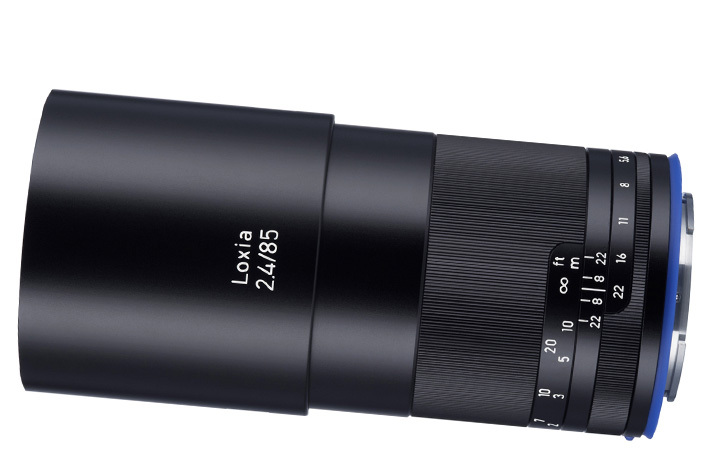 They continued in that vein with the release of the ZEISS Loxia 2.4/85 prime. From the sample images, it looks capable of producing stunning results with gorgeous creamy bokeh. The bokeh whores of the world are going to be very pleased with this lens. The 85mm 1.4 DG HSM Art, the 12-24mm F4 DG HSM Art and the 500mm F4 DG HSM OS Sports. For photographers who have been shooting with the 35mm and 50mm Art lenses and appreciate their tack sharp image quality, the 85mm 1.4 Art announcement is like giving crackheads their fix. 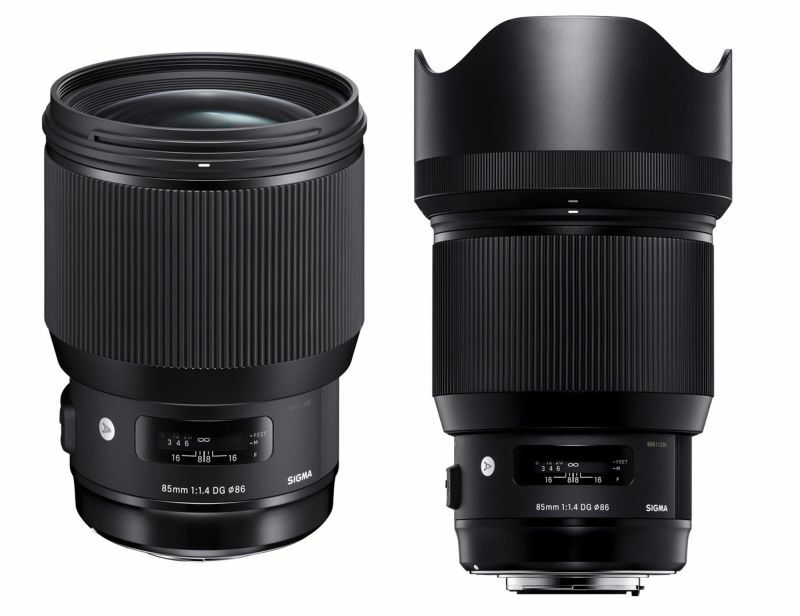 With some of their lenses, Sigma has been surpassing the sharpness and image quality of equivalent Canon and Nikon lenses with its Art series. If their 85mm 1.4 lives up to what they’re doing with the other lenses in this lineup, it’s bound to be a stellar lens. 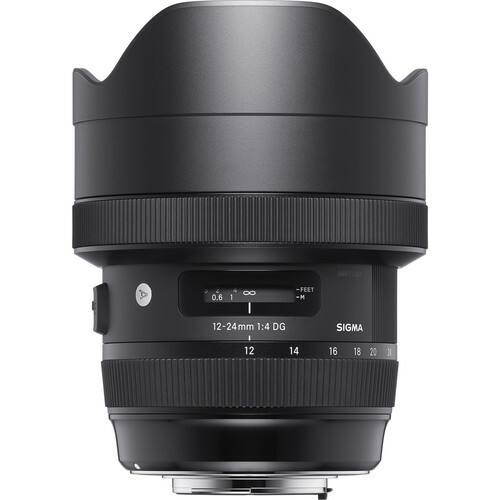 The 12-24mm F4 DG HSM Art from Sigma is a real impressive move by the third-party manufacturer. It’s a focal length that neither Canon or Nikon actually cover (Nikon has a 14-24mm f2.8 and Canon has a 16-35mm f2.8) so Sigma is really taking it to them. In my opinion, competition within an industry can only be a good thing. For landscape and architectural shooters who shoot either Canon or Nikon, this is welcome news. 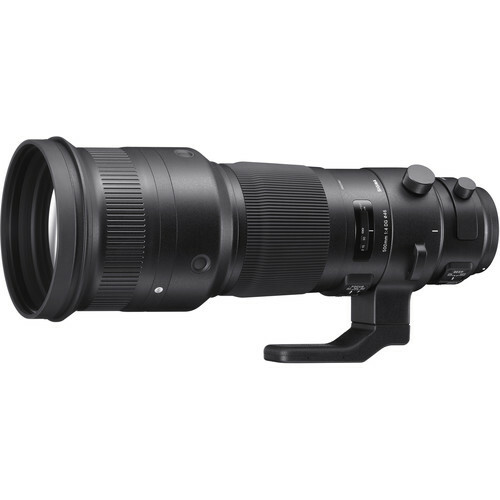 The Sigma 500mm F4 DG HSM OS Sports lens is a whopper of a lens that will give sports and wildlife shooters probably equivalent image quality of the big Nikon and Canon wide aperture primes at a fraction of the cost. Always one to innovate and try out new ideas, Fujifilm skipped the full frame market and went straight to medium format with the Fujifilm GFX 50S. It’s probably a smart move by Fuji, as Sony already has a huge head start in the full frame mirrorless market. The camera will have a 51.4-megapixel sensor with measurements of 43.8 x 32.9mm. If you look at the camera from the front without a lens attached, you can see just how ENORMOUS this sensor is. 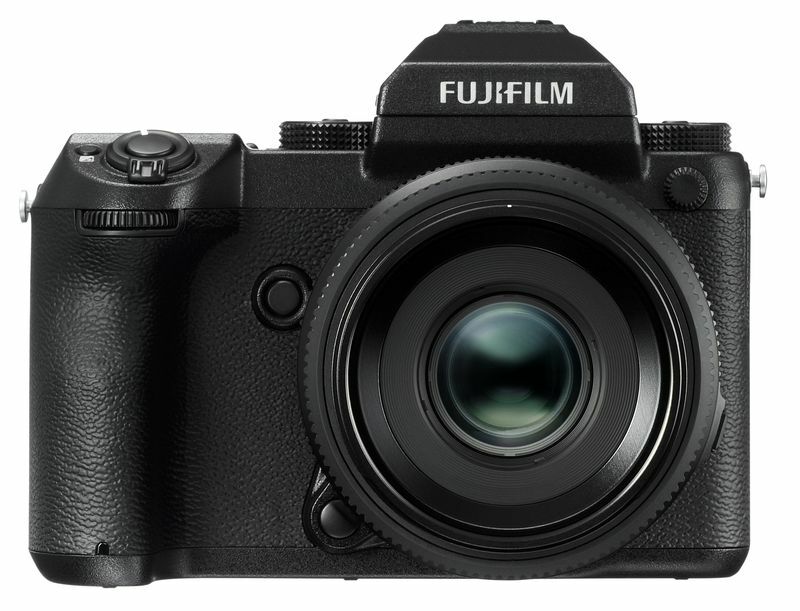 Fuji, always listening to feedback from their customers, have stated that they decided to enter the full frame market after photographers expressed desire that the company put their signature X-Trans colors and technology into a larger sensor. The company has only stated that the price will be “under $10,000” – which is obviously a ton of money for most photographers, but with Hasselblad or Phase One being some of their closest competitors and their backs costing as much as $30,000, this camera will actually be competitively priced. It has a short flange distance, which opens up possibilities for using medium format lenses from other manufacturers – a great feature if you’re coming from another medium format system and want to try out this one from Fuji. The camera does not come with an optical viewfinder, but the accessory viewfinder looks like an amazingly well-implemented idea: it’s adjustable so you can move it around for different types of shooting situations. You can point it upwards so you can shoot at waist level and whatever other angle you want. The GFX 50S will not be available until early 2017 and is not even available for pre order yet so it appears that Fuji was rushing to get this camera announced and may still have a bit of work to do to get the camera ready for the market. The GoPro Hero 5 Black will be GoPro’s new flagship camera. It shoots 12 megapixel photos and 4k videos at a 30 frames per second frame rate. Straight out of the box, it’s water proof down to 33 feet. It comes with a 2-inch LCD screen. It has built-in GPS and can shoot photos in RAW. The GoPro Hero 5 Session is a stripped down version of the Black. It has a smaller sensor size and shoots 10 megapixel photos. But it does shoot 4k video at 30 fps and is waterproof up until the same distance. It does not have the GPS capability and cannot shoot in RAW. 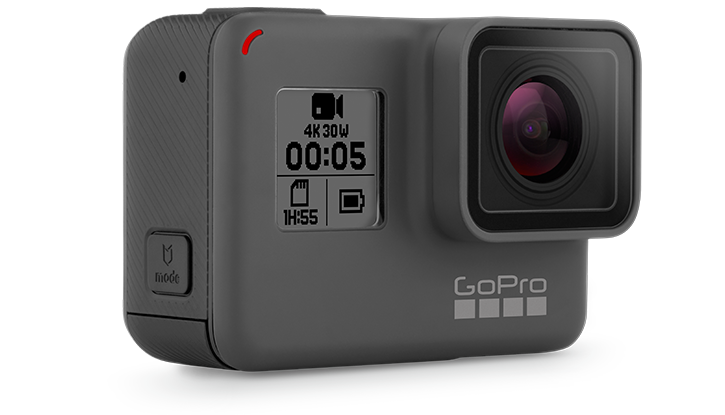 Both cameras will with voice control, a feature that may not sound all that but considering the conditions GoPros are used in, this dramatically increases usability. When I think of Leica, I think uber-expensive rangefinder bodies and uber-expensive lenses. 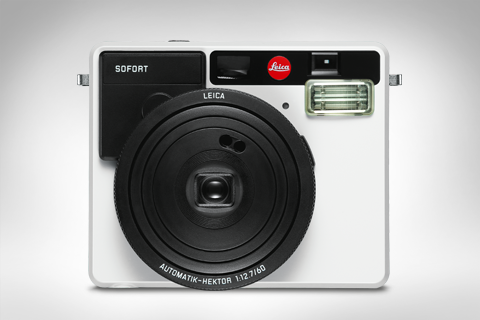 But it’s nice to see Leica dipping their toes into something a little different for them, with what’s called the Leica Sofort. 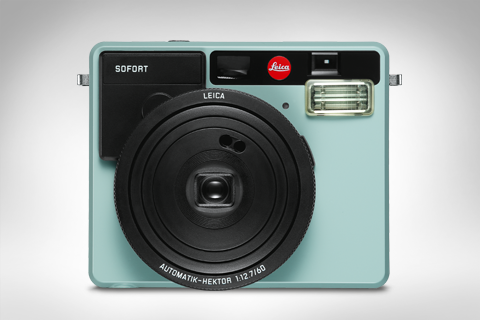 It’s an instant film camera that comes in three colors: mint green, white and orange. I’m torn between which one is better; white or orange. This is a retro-styled camera with a very simple design in terms of shooting modes and exposure control. It has full-auto, close-up, sports mode which will choose faster shutter speeds in fast-moving situations, and party mode, which utilizes flash and longer shutter speeds. While it is a Leica and priced higher than equivalent instant film, with a launch price of $300, it’s actually a pretty reasonably-price Leica product. I don’t say ‘cute’ a lot but this looks like a cute little camera to have with you. 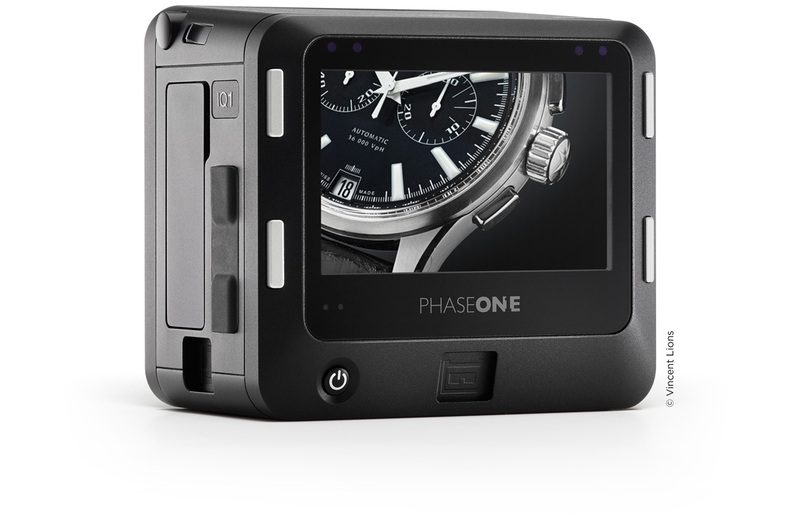 The Phase One IQ1 is a “no-frills” version of their 100 megapixel back. While it doesn’t have some of the more advanced features found in the higher end IQ3 or WiFi/HDMI, it still has the same insane image quality and gigantic 53.7×40.4mm sensor. For studio photographers who are on a budget and can do without some of the features from the IQ3, this is a good option. With all those megapixels and resolution comes the need to have lenses that have the capability of being able to resolve enough detail. So Phase One has come out with the new lenses to be able to deal with the huge medium format sensors. The first is the Schneider Kreuznach 45mm LS F3.5, which, on the Phase One medium format sensors, provides a 28mm field of view in full frame terms. It has a leaf shutter, so it’s capable of syncing with flashes at higher shutter speeds. The lens has 10 elements in 7 groups. The other is the Schneider Kreuznach 150mm LS F2.8 IF, which in full frame terms is a weird 94mm. Phase One says that this camera’s shallow depth of field capabilities is where it really shines. 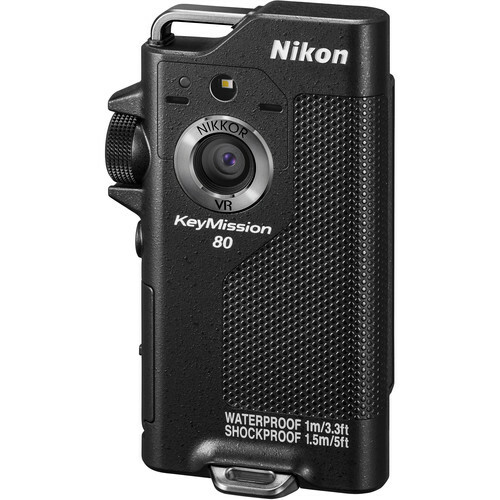 The Nikon KeyMission 360, the KeyMission 170 and the KeyMission 80. Their corresponding number refers to the field of view they have. The KeyMission 360 looks like a serious piece of photographic equipment, sporting two 20-megapixel sensors on either side, which the camera automatically stitches together to create a 360 degree field of view without you have to do any work in post. It has surprisingly wide f/2 lenses, which capture 4K and 1080p footage. It’s made to be used out on your adventures; it’s waterproof up to almost 100 feet, shockproof from just under 7 feet, which, with the way these cameras are designed to be used drops are bound to happen, and freeze proof to 14°F. 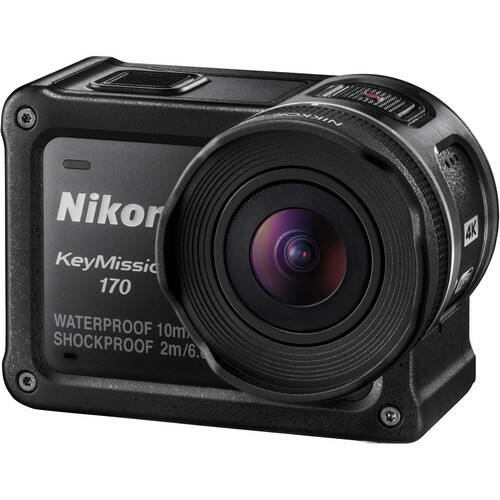 One can’t help but notice that Nikon made the KeyMission 170 to directly compete with the GoPro Hero 5 Black. It looks very similar to the physical design you see with the GoPro cameras. It has a 8.3 megapixel CMOS sensor that shoots 4K footage. It has an LCD screen on the back, unlike the 360. It has electronic image stabilization. Like the 360, it’s shockproof and freeze proof. It is however, less waterproof (it’s waterproof up to 33 feet) but there’s an optional housing you can buy separately which brings its waterproof capabilities up to just over 140 feet. The KeyMission 80 is the last of the bunch, an action camera more geared towards the casual user who doesn’t need all the bells and whistles of the other more advanced models. It has two lenses, the main one on the back with an f/2 lens that has a 12 megapixel CMOS sensor that shoots video at 1080p. Then a secondary, front-facing lens that allows you to take selfies. Like the other two Nikon cameras in this lineup, it’s made to withstand heavy use, it’s just not as rugged as the more expensive models. It’s waterproof up to 3.2 feet, it’s shockproof from 6 feet heights and is freeze proof down to 14°F. 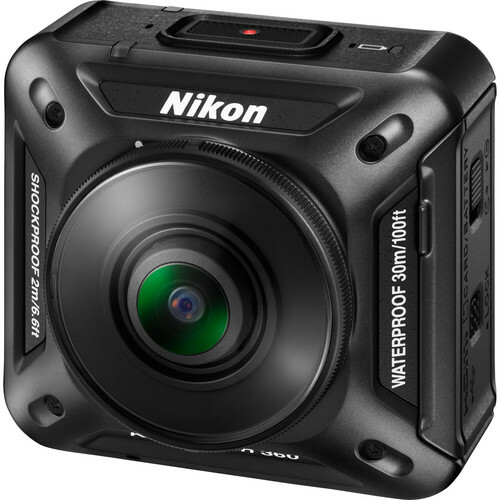 GoPro has had a pretty strong hold on the action camera market for quite some time now – and with releases like this from Nikon and other competitors it’ll be interesting to see what GoPro does to innovate moving forward. They’re going to have to if they want to stay ahead of the pack. With large megapixel sensors being used for both stills and videography, our memory cards are filling up faster and faster. It’s just insane how fast computing power and storage evolves – I thought it was crazy when, just a few years ago I bought a 1TB hard drive – a hard drive I still use to this day! So to be able to cram all that memory space onto a tiny little SD card seems like some pretty advanced wizardry. 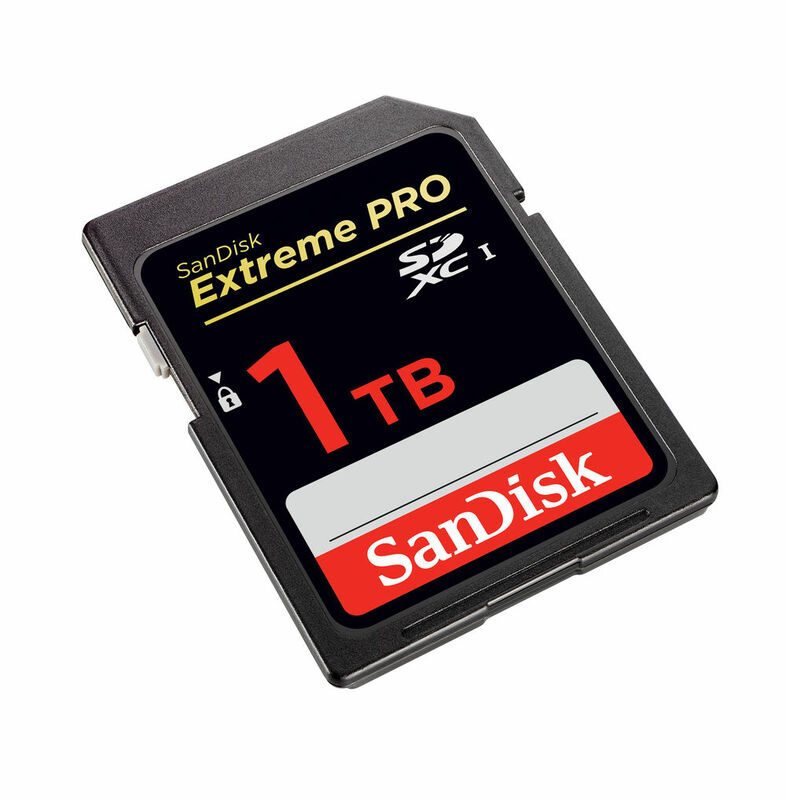 Nice to see it released form Sandisk, who I think produce the best and most reliable memory cards for photography. The price hasn’t been released yet but you can be sure that it won’t come cheap. I wasn’t sure where Sony was going with its A mount cameras, as it seems like it’s been forever since they released a product for the mount. Rumors were starting to swirl on whether Sony was going to abandon the system altogether. But with the announcement of the Sony A99 Mark II, they really put all that to rest. The camera uses a large full frame 42.4MP Exmor R back-illuminated CMOS sensor with an ISO range that goes up to 102400! The camera will be Sony’s flagship model and was built for speed, shooting at 12 frames per second. A lot of Sony shooters are going to love the 5-axis SteadyShot INSIDE stabilization system, which is able to compensate for up to FOUR AND A HALF stops of shutter speed which will allow for sharper images. That’s crazy. One thing I find exciting about it is its tilty-swivel LCD screen. The majority of pro-level DSLRs do not have this feature yet but will become standard sooner rather than later. I didn’t expect to like this feature when I shot with it on my Nikon D750 – but as it turned out, I loved being able to use live view and adjust the LCD for getting low or high angle shots. The camera will have Sony’s powerful BIONZ X image processor, which it will need to support shooting those huge 42.4 megapixel files at 12fps. For videographers, the camera shoots 4K video at 30 or 24 fps. The specs for this camera are really exciting. 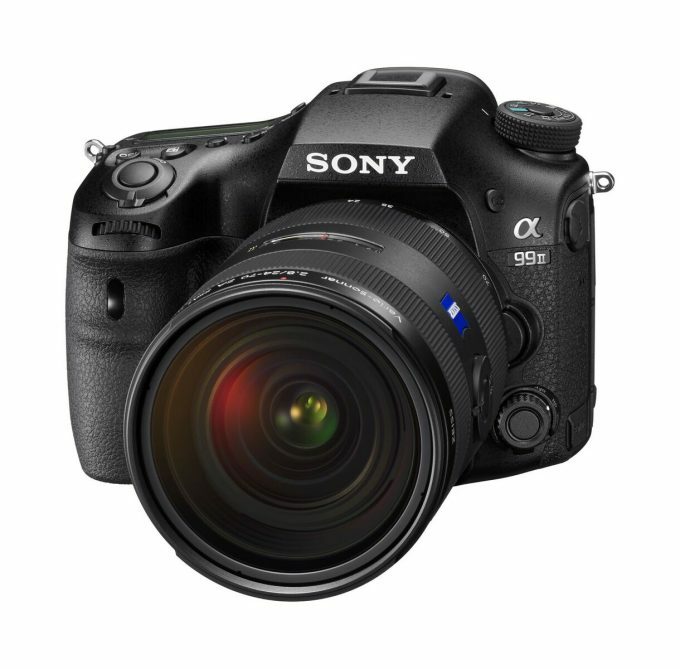 Very fast, powerful and capable of being useful for a ton of different types of photographers. Sports, wildlife, videographers and other types of photographers are all going to love this thing. For fast-moving photography, it may just be the best bang-for-your-buck out there. 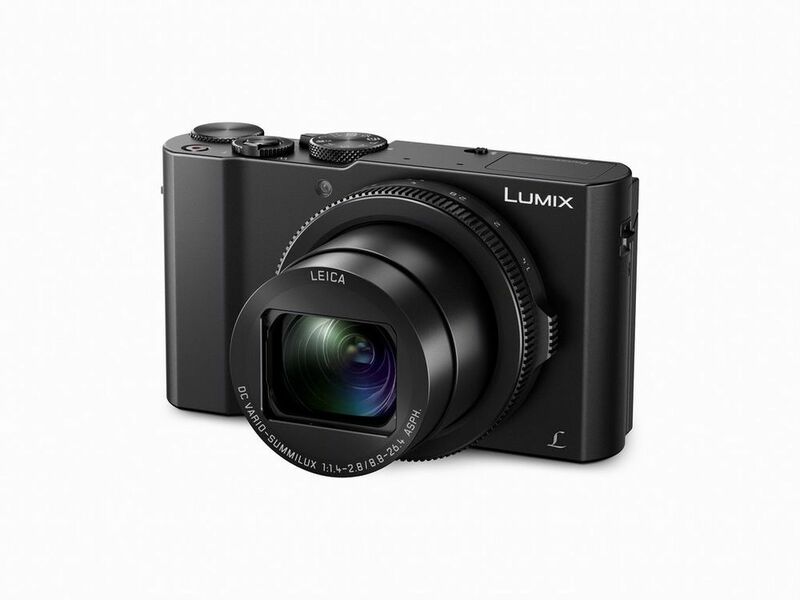 The Panasonic Lumix DMC-LX10 is compact camera with a pretty large sensor for its size, coming in at an inch in size. It shoots 20 megapixel photos and has a very wide variable aperture for a camera of this type, ranging between F1.4 to 2.8. The camera shoots at an impressive 7fps with autofocus. As dpreview reports, in terms of equivalent apertures, the Lumix DMC-LX10 actually performs better than its direct competitors, the Sony DSC-RX100 IV, the Canon G7X Mark II… and it actually is on the more affordable end of these cameras. It’s really incredible what manufacturers are able to do with such small camera bodies these days and I think I’m more excited about this camera than a lot of other photographers out there but I’m eager to get my hands on one of these. I think it would be an incredible travel camera as it would allow you to get rid of all the big bulky lenses and just have practically all your focal lengths covered with a camera/lens package like this. Canon has their work cut out for them if they really want to make headway in the mirrorless camera market with brands like Sony and Fujifilm already leading the way. 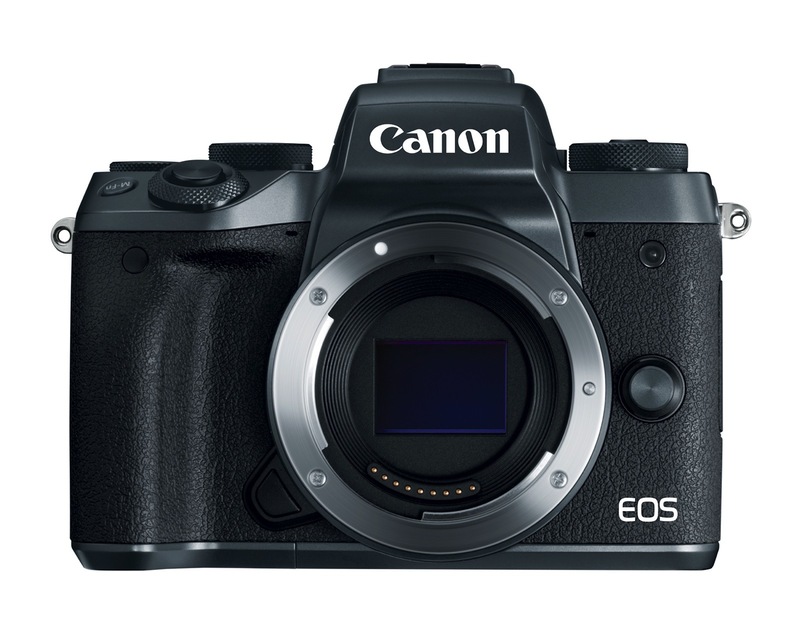 The Canon EOS M5 is not an amazing engineering feat in terms of mirrorless cameras, but it is certainly a step in the right direction if Canon is really going to pursue the mirrorless market. The camera has a 24.2-megapixel APS-C CMOS sensor capable of Dual Pixel autofocus. It has a DIGIC 7 processor that will give it a burst rate of 7 frames per second and a maximum ISO of 25,600. The camera has an LCD screen with 1,620,000 dots of resolution that is can be swiveled up and down – you can’t tilt it all the way up but you can tilt it down 180 degrees for selfies. I’m not sure what Canon was thinking with this design, as it seems like it would be easier to take selfies with it flipped in the up position. In a move that I think is somewhat strange, they designed the camera body to look similar to a DSLR. 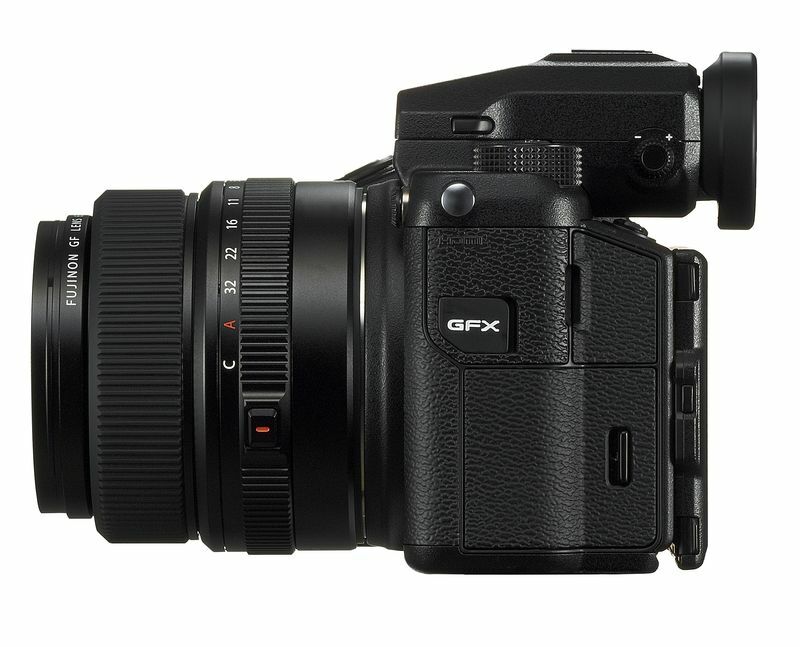 I don’t know why they wouldn’t go with a new look but it could end up being a formula that works for them, as very few companies have been able to crossover from SLRs to mirrorless or vice versa very successfully. It could be argued that consumers will respect Canon keeping similar aesthetics to their DSLRs, as it makes it look more like they’re not trying to do something that they’re not. While Photokina 2016 was evolutionary rather than turning the photography world upside down, the event did produce several new and exciting advancements that are pushing photographic technology to new levels. The other day, I stated that I thought that Olympus was the star of the show. Well, I’m changing my mind. If Photkina was a competition, I’d give the crown to Sigma. The third party lens manufacturer has put forth three very solid lenses which will most likely provide very similar image quality of the big Nikon and Canon bullies at just a fraction of the price. What do you think of the offerings at this year’s Photokina? Let me know what new photography product you’re most excited about in the comments below.